ReverseVision, the leading provider of technology and training for the Home Equity Conversion Mortgage (HECM) industry, today announced it has been named to HousingWire (HW) Magazine’s Tech100 list of innovative housing technology companies for a fourth time. ReverseVision was previously named a HW Tech100 honoree in 2015, 2017 and 2018. SAN DIEGO, Calif. /Mortgage and Finance News/ — ReverseVision, the leading provider of technology and training for the Home Equity Conversion Mortgage (HECM) industry, today announced it has been named to HousingWire (HW) Magazine’s Tech100(TM) list of innovative housing technology companies for a fourth time. ReverseVision was previously named a HW Tech100 honoree in 2015, 2017 and 2018. ReverseVision was recognized for its position as the industry’s most trusted provider of technology and training for HECM origination and senior lending. ReverseVision’s flagship origination system, RV Exchange (RVX), is used by 10 of the top 10 HECM lenders and processes more reverse loans than all other solutions combined. ReverseVision, Inc. is the leading provider of technology and training for Home Equity Conversion Mortgage (HECM) origination. With many thousands of active users, ReverseVision technology is used by 10 of the top-ten reverse mortgage lenders and supports more HECM transactions than all other systems combined. The company’s comprehensive product suite also includes HECM sales and education tools and a dedicated professional services team. ReverseVision partners with some of the finest and fastest-growing banks, credit unions and lending organizations in the United States to provide its HECM technology to brokers, correspondents, lenders and investors. A four-time HousingWire TECH100(TM) company, ReverseVision has also been recognized in Deloitte’s Technology Fast 500(TM) listing. 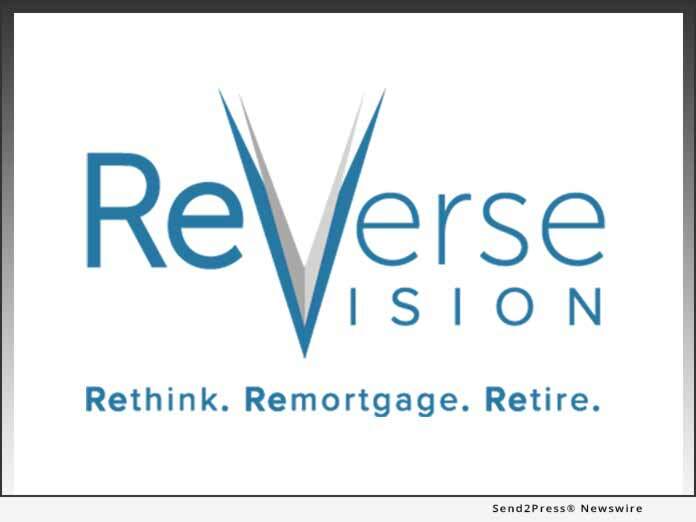 ReverseVision’s annual user conference, the only event of its kind in the industry, brings together more than 200 lenders, vendors and educators each year to advance HECM lending. The company continues to build on its technology’s pioneering capabilities with frequent enhancements aimed at boosting users’ HECM volume, workflow efficiency and data analysis capabilities.